Dry shampoo is my hair routine essential. There are quite a lot of dry shampoos in the market, so choosing the right one can be a bit tricky. I had tried few different brands before, but this one was the best out of all I tried. 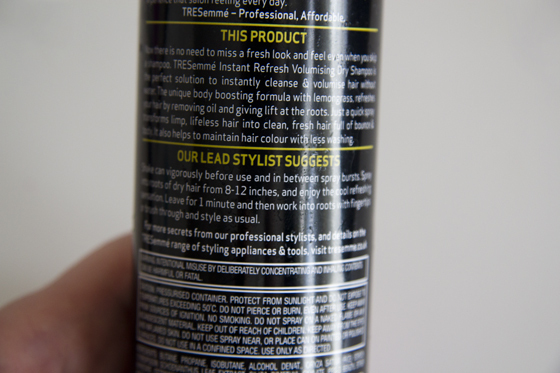 TRESemme had few different types of dry shampoos, the Volumising one is my favourite. I must say it does add volume to my flat hair. I wash my hair every 3rd day, my hair are fine and flat. I have very sensitive scalps, so I aim not to wash my hair to often, so I use dry shampoo in between washes. 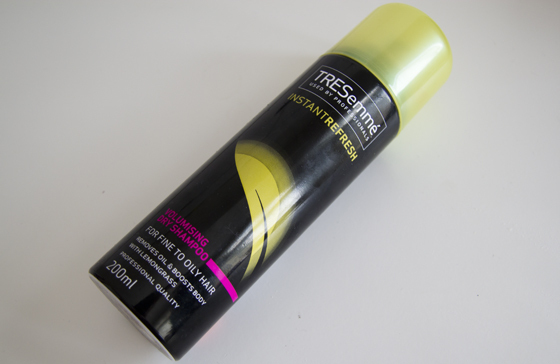 The TRESemme is the only dry shampoo which didn't leave the powdery feeling on my hair (the Bastie left way too much powder on my hair), when some did I felt like my hair do need the wash much more than before. The smell is very fresh, it has a hint of lemongrass, the smell isn't overpowering. I spray it on my roots and I wait for around a minute and then massage this into my hair. This bottle last me for around 1,5month. This bottle will be coming with me on holiday. Dry shampoos are very easy to use in my opinion, as they don't need much effort. I wouldn't recommend to use it every single day, as somehow this may cause damage to your hair. I bought the Batiste XXL volume but it left my hair so so sticky with residue it defeated the object as I had to wash straight away after. Whilst I use the original Batiste I totally get what you mean about the powdery residue. 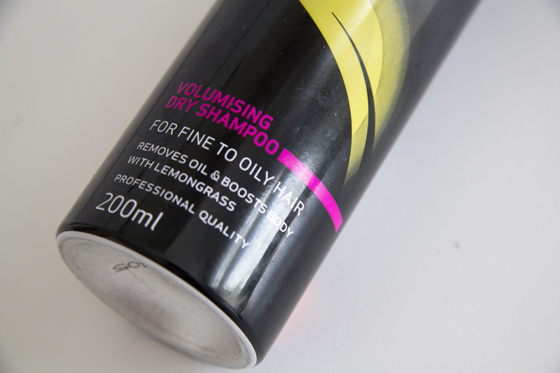 It leaves my hair which is dark brown looking dull which is a shame so this review came at the perfect time as I am looking for a new dry shampoo without breaking the bank. I shall def pick this up next time I venture to Boots! Great review! I really need to try more dry shampoos as I'd like to get more use out of them, but I've yet to find one I really like! I've heard so many good things about this dry shampoo but I just didn't like it when I tried it out for myself. Maybe I need to try it again! I love this one! Dove is my second favorite!!! I find that some Batiste ones are great some are not so great! I'll have a look for this after my spending ban :P I always use batiste and get on well, for holidays I use the mark hill dry shampoo holiday hair, it's amazing away, but not so good at home!